Devon’s leading tourism businesses have been chosen for the finals of the Devon Tourism Awards, which will be presented at a prestigious ceremony on 23rd November 2017. This year saw a record of 205 entries and an increase to 25 categories in the competition which is now in its 8th year following its launch in 2010. 76 finalists were selected all of whom will be in suspense until 23rd November when they will learn whether they have won Gold, Silver, Bronze or special awards. Local business Cofton Holidays, which has previously won Gold at the Devon Tourism Awards and went on to receive highly recommended in the Visit England holiday park of the year category, has this year made it through to the finals of the Devon Tourism Awards in two categories. 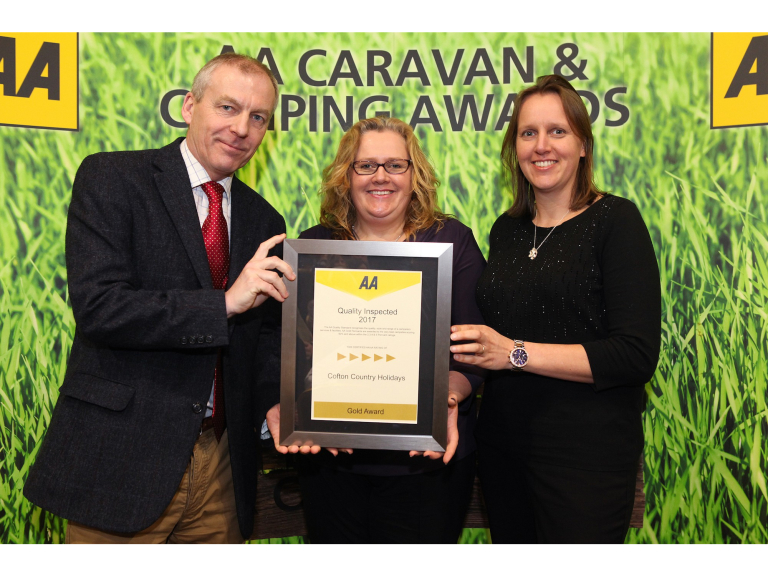 Earlier this year Cofton also succeeded in being awarded an AA 5 Pennant Gold accreditation at the AA’s Caravan and Camping Awards, one of the highest accolades in the world of camping and caravanning. Commenting on their shortlistings Helen Scott, Director of Cofton Holidays, said: “Cofton’s success in being shortlisted is a huge achievement. We’re delighted that both our Sustainable Tourism and Holiday Park of the year submissions caught the eyes of the judges. “Over the past year we’ve worked long and hard to create a high-quality customer experience founded on a sustainable approach to doing business and an unwavering commitment to quality. We’ve invested heavily in our biomass hub, alongside a host of other environmentally sustainable solutions. We’ve focused on sourcing and celebrating local produce. We’ve invested in new accommodation and experiences such as our new Woodland Adventure area, which is free for everyone to use. We’ve also focused on playing our part in the community, funding local causes, supporting local business and putting on events that embrace the local community. The winners will be announced at the Awards Ceremony on 23rd November in the Guildhall in Plymouth, where the event will be hosted by Britain's leading travel commentator, Simon Calder. Successful businesses in the Devon Tourism Awards will also be fast tracked into the South West Tourism Excellence Awards in February 2018, with nominees in matching categories invited to represent Devon in to the National VisitEngland Awards later in 2018.